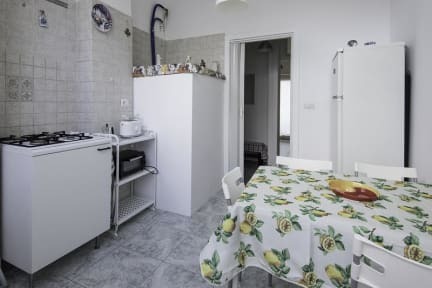 Archita Guest House & Apartment is located in a popular, yet quiet area of Bari, in Japigia district, near the famous boardwalk and the beach 'Pane e Pomodoro', the university campus and within walking distance (30 minutes) to the old town. The house is well connected with the rest of the city by several bus lines which stops just 50 meters away; it is also easily accessible by car and there is a lot of free parking along the roads in the surrounding area. The apartment is on the second floor and has been completely renovated, with the addition of furniture and new equipment. The building has a modern elevator. 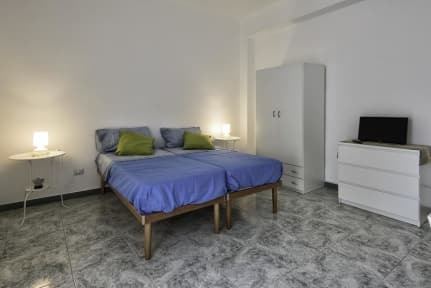 In the apartment you will find a familiar environment, but with all facilities for a comfortable stay: clean linens and towels, products for personal care, orthopedic beds, air conditioning in two bedrooms, flat screen television, free internet wi-fi, washing machine, etc .., in addition to an extremely low cost. For guests it is also available (on request) a free transfer from the Central Station (or from the port) or a paid transfer from the Airport to reach the apartment.